Party Supplies can be purchased by members to really get some random fun going! After all, they serve no purpose other than for entertainment. To do this, head to any of the 4 markets and buy whatever you wish. These can then be accessed by going to my inventory – party supplies – (the item you bought) – tapping the orange interactive button to use it. Maybe you want to use a party blaster which gives your friends some free coins? Perhaps be like me and launch fireworks when the community challenge is completed? My favourite supply is the ability to give players (regardless of membership status) food and drink for them to enjoy. These are known as sharing trays and are epic! Using party supplies is a great activity on the game! 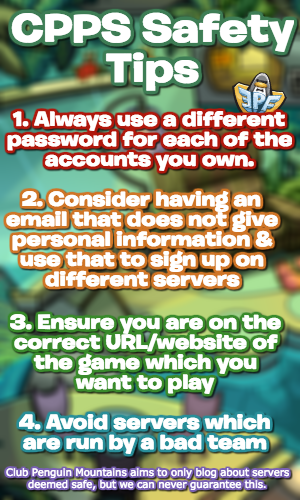 How often do you use them, or are you a non-member who receives food from other players? Wow! My penguin is in this post. 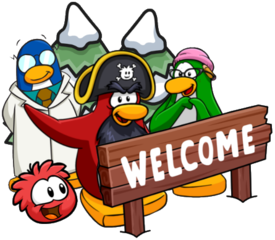 I joined when the game was launched in Australia and New Zealand using “alternative methods”.